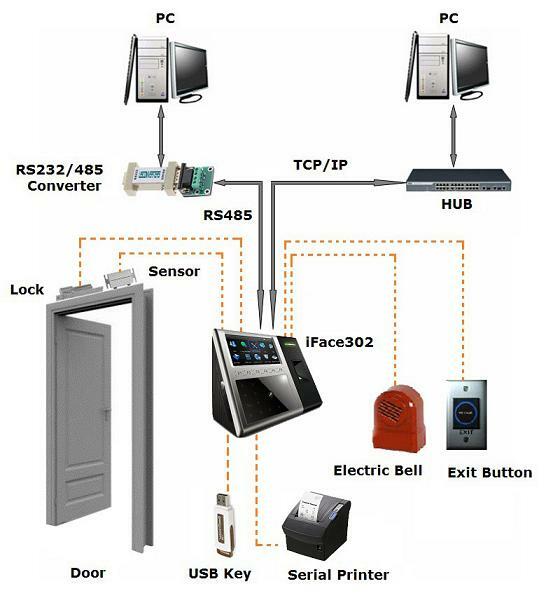 iFace 302, users can identify or verify themselves either by face, finger, ID card or PIN/password. The TFT color touch screen of iFace 302 provides ease of use and a rich user experience. The iFace 302 uses state of the art 3D imaging technology while aslo providing hygienic 100% touch-free biometric authentication. The iFace 302 utilizes ZK's latest face and fingerprint matching algorithms. 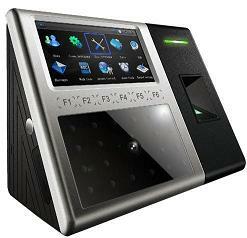 iFace 302 can one to many (1:N) match up to 400 faces and 2000 fingerprints. When users glance into the camera, it captures the relative position, size, and shape of the user's eyes, nose, cheekbones, and jaw. These parameters are then used to create a biometric template which is then used to subsequently verify or identify each user.